This past weekend I went home and grabbed my old tube TV that I had in most of college. It’s a 27″ Samsung Flat screen. Not flat panel. Just a flat screen. I fell down the RGB rabbit hole some years back and have never fully emerged. I almost bought a Sony PVM a few times, but never pulled the trigger (yet). This is my replacement, for now. 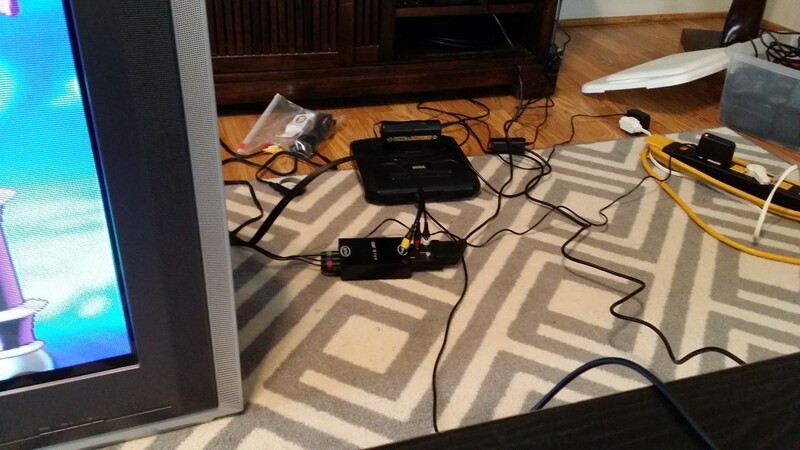 I bought an RGB to Component converter. I also had to extract the audio so I got another little device that does that. Here is the outcome. It’s so sharp! Saturn is a powerhouse for 2D games. 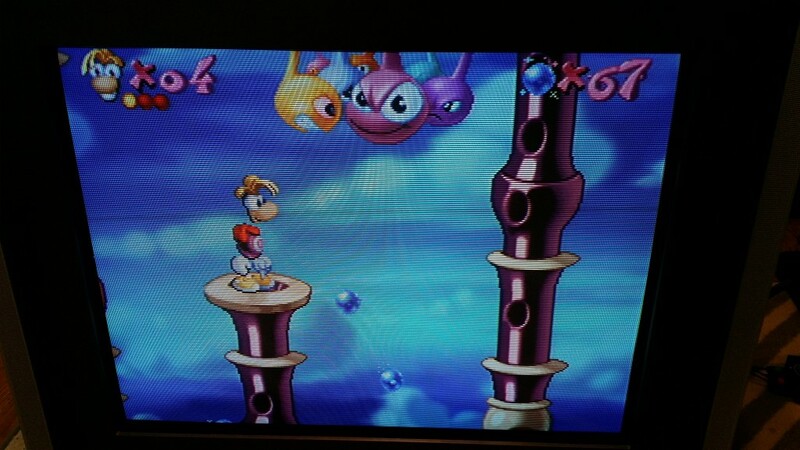 Rayman never looked so good. Previous PostPrevious Back at it again with the vlogs.